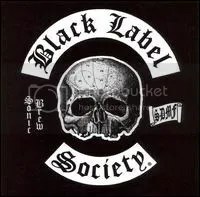 Despite owning four BLS albums, I’ve never been a huge fan of ’em. Out of the four I own, you could probably make one REALLY good album. BLS tends to either be too mellow and acoustic or too sludgy for the most part. BLS songs often alternate between being southern fried Alice In Chains and sludgy Lynyrd Skynyrd. That just doesn’t work for me. Another problem I have with the album is that there’s just too many songs. 1o or 11 tracks is the best length for an album, in my opinion. Once you start going above that, you’re just adding filler. I bought this album thanks to a lot of praise I was reading online, but it’s nothing special to me outside of a few songs. “Spoke in the Wheel” is a really cool Lynyrd Skynyrd sounding ballad and “No More Tears” is a decent Ozzy cover. Zakk’s voice isn’t all that great on this album, he would get better on the later ones, but it still has some charm. It’s to my understanding that the album was released in the Fall of 1998 in Japan, but before the U.S. release, they decided to do some remixing of the album. So, we got a new album cover (see above) along with the “bonus track” of “No More Tears”.